Watch leading mediators of international disputes in action in a mock cross-cultural mediation set in the context of a pending international commercial arbitration. Well-known international arbitration practitioners and experienced in-house corporate counsel from multinational corporations will role-play counsel and clients in the mediation. Commentary and discussion will follow the mock mediation segments. The session will explore how cross-cultural factors in international arbitration impact the prospects for successful resolution through mediation. How should mediators build trusting relationships with the parties? Can a mediator function effectively without necessarily knowing the applicable law? Can a successful mediation be executed where the parties, counsel, and mediator are widely dispersed across the globe? - Caline Mouawad, Partner in King & Spalding’s International Arbitration Group. The panel will be moderated by Marc J. Goldstein, a NY attorney practicing international arbitration, mediation and advocacy. James Rhodes, a member of the ACR-GNY board and a litigator, arbitrator and mediator with extensive international and domestic experience, will preside over the event; he will be introduced by his fellow ACR-GNY board member James Berger, a partner in the international arbitration group at King & Spalding, LLP, which is hosting the event. 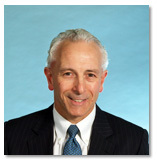 Marc J. Goldstein is a New York attorney who practices international dispute resolution as an arbitrator, mediator, and advocate. He established Marc J. Goldstein Litigation & Arbitration Chambers in 2007 after 27 years spent mainly in large New York-based law firms, in two of which he was the leader of the international arbitration practice group. Since 2009 he has written Arbitration Commentaries, a widely-read online journal covering developments in international arbitration law and practice Ranked by Chambers Global as a leading US international arbitration practitioner when he was in large firm practice, Mr. Goldstein as a sole practitioner has been cited annually since 2007 in Best Lawyers in America, and since 2011 in the International Who's Who of Commercial Arbitration. He is on the Executive Committees of the New York State Bar Dispute Resolution Section and the New York Branch of the Chartered Institute of Arbitrators, and is Co-Chair of the International Mediation Committee in the International Section of the ABA. He is a member of the American Law Institute and the New York International Arbitration Club, and is a Fellow of the College of Commercial Arbitrators and the American Bar Foundation. 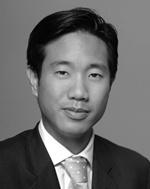 Tai-Heng Cheng is a specialist in international disputes, has wide experience representing corporations and sovereign states in international commercial arbitration, investor-state arbitration, state to state disputes, and U.S. court litigation.He has served as lead counsel, tribunal chair, co-arbitrator, and testifying expert in disputes in almost every continent and under the rules of virtually every major arbitral institution. He is a member of the panels of neutrals of the AAA, ICDR, CPR, SIAC, HKIAC, KLRCA and SCIA. Additionally, Dr. Cheng has counseled sovereign states on public international law matters, including state succession, treaty interpretation, sovereign immunity, and expropriation. He has also represented clients in international parallel proceedings, as well as in U.S. federal and state court trials and appeals. The chair of a tribunal before which Dr. Cheng appeared as lead counsel, winning full damages and 90% of fees and costs, described Dr. Cheng "as one of the most outstanding advocates" that he had met in over three decades as a U.S. judge and arbitrator. A Stockholm Chamber of Commerce arbitration tribunal described Dr. Cheng's presentation at the hearing as "a remarkably eloquent and intelligent address . . . with which the arbitrators of course full-heartedly agree in all respects." Dr. Cheng is listed as a “rising star” in Euromoney's Guide to the World's Leading Experts in Commercial Arbitration (10th ed.). Prior to joining Quinn Emanuel Urquhart & Sullivan, LLP, Dr. Cheng was a tenured professor of international law in the United States. He is the author of two books and dozens of articles on international law and international arbitration, which the U.S. Federal Circuit and District Courts have cited and relied on as authoritative. Dr. Cheng is bilingual in English and Mandarin. Edna Sussman is an independent arbitrator and the Distinguished ADR Practitioner in Residence at Fordham University School of Law. Formerly a partner in the firm of White & Case LLP, she serves on the Boards and the Executive Committees of the American Arbitration Association and of the College of Commercial Arbitrators. She is a former co-chair of the Arbitration Committees of the American Bar Association’s Section of International Law and Section of Dispute Resolution, former Chair of the Dispute Resolution Section of the New York State Bar Association and serves as co-editor-in-chief of the New York Dispute Resolution Lawyer. Gregory A. Litt is counsel in the international dispute resolution practice of Skadden, Arps, Slate Meagher & Flom, where he represents clients in complex commercial disputes before domestic and international arbitration tribunals and trial and appellate courts in the United States. His work spans a wide range of industries, including accounting, aviation, energy, finance, hospitality, publishing, insurance and sports. Mr. Litt regularly represents clients in disputes arising out of international business transactions and provides advice on a variety of issues relating to international dispute resolution, including forum selection, jurisdiction, service of process, the enforcement of arbitration agreements, extraterritorial discovery and the international enforcement of judgments and awards. Mr. Litt also is a trained and experienced mediator and has acted as both a neutral and counsel in a variety of mediation contexts. Caline Mouawad is a Partner in King & Spalding’s International Arbitration Group, residing in the New York office. Ms. Mouawad concentrates her practice on international arbitration. Her experience includes arbitrations involving claims and disputes in Europe, the CIS, Latin America, North Africa, and the Middle East, relating to public and private international law issues, bilateral investment treaties, breach of contract, financial transactions, and privatization agreements. Ms. Mouawad is involved in complex arbitrations in a variety of sectors including oil and gas, energy, telecommunications, and mining. She has represented clients in cases before the International Chamber of Commerce (ICC), the International Centre for Settlement of Investment Disputes (ICSID), the London Court of International Arbitration (LCIA), the American Arbitration Association (AAA), and the International Commercial Arbitration Court of the Russian Chamber of Commerce (ICAC), as well as in ad hoc cases under the UNCITRAL Rules. In the 2010 edition of The Global Arbitration Review 100, she was named a “lawyer to know.” She was “recommended” by Legal 500: Latin America(2012)and Legal 500: US (2013). 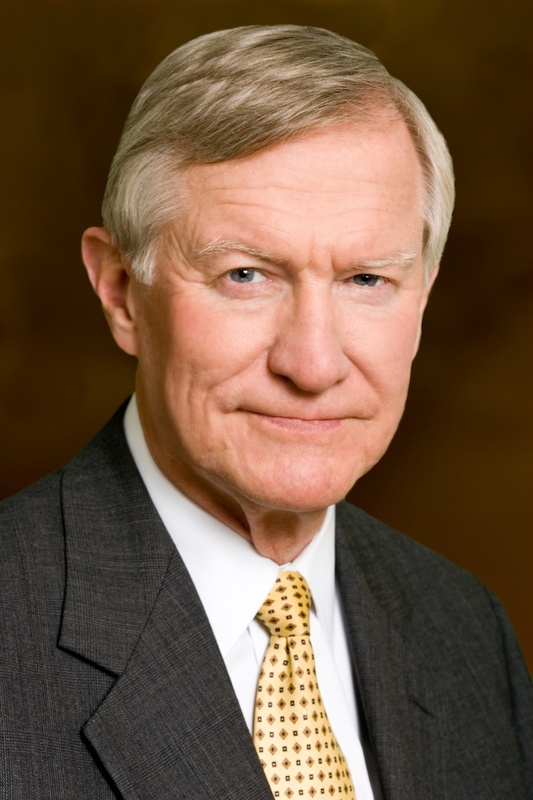 Jim Rhodes is an attorney admitted to practice in the States of New York and Texas. A litigator, arbitrator and mediator with extensive international and domestic experience, as well as experience as a business executive and house counsel, he has served as an arbitrator or mediator in many commercial and investment disputes, particularly in the international sector. He specializes in high-conflict, complex disputes. In this regard, in the past five years he has served as Chairman, co-panelist or sole arbitrator in many commercial, investment and securities arbitrations conducted under the auspices of various institutions, including the ICC, the AAA, the ICDR, IICPR, FINRA and the EDNY. He also has over 40 years experience as counsel in international arbitrations. In addition, he has served as mediator in over thirty-five commercial disputes, and is on the mediator panels for the AAA, ICDR, FINRA, EDNY, SDNY, the Commercial Division ADR Program of the Supreme Court of the State of New York, New York County, and for Civil, General Equity and Probate Cases, New Jersey Courts. James E. Berger is a partner in the International Arbitration Practice group at King & Spalding LLP, where his practice focuses on litigation and arbitration of cross-border disputes, matters involving sovereigns and state-owned enterprises, and litigation in aid of arbitration. He writes and speaks frequently on international dispute resolution and arbitration issues, and serves as co-editor of International Litigation Quarterly, a publication of the American Bar Association. Prior to joining King & Spalding, Mr. Berger practiced at Paul Hastings LLP, where he was a member of the firm's Global Compliance and Disputes practice, served as General Counsel in the New York City Mayor's Office of City Legislative Affairs, and served as law clerk to the Hon. W. Thomas Rosemond, Jr., formerly of the U.S. District Court for the Northern District of Illinois. He received his B.A. from George Washington University, and his J.D. from Fordham University School of Law, where he served as Writing and Research Editor for the Fordham Urban Law Journal.